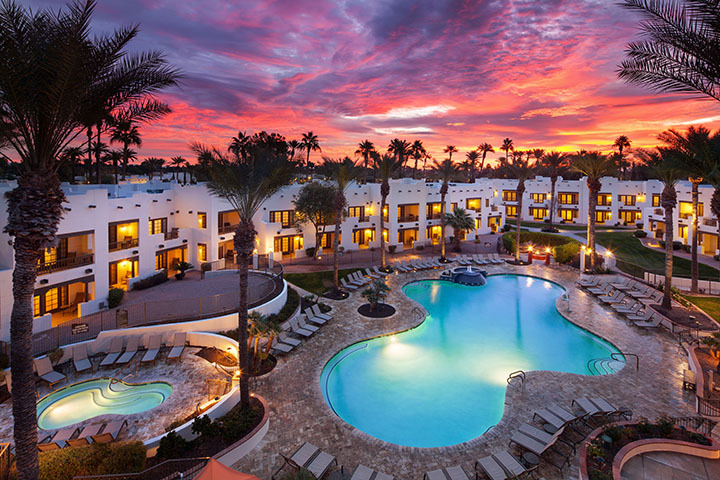 What started as lodging for Goodyear Tire & Rubber Companies’ cotton ranch suppliers, is now The Wigwam, a 331-room resort in Litchfield Park. And this year the resort is inviting you to make history with them with a special package deal as they celebrate 100 years since the establishment of the first building on its site. After discovering that cotton extended the life of its tires, Goodyear Tire & Rubber Company set out to farm cotton and found the perfect spot in what is now Litchfield Park. The company bought up 16,000 acres of land and got to work. To provide lodging for the ranch suppliers, the company built the site’s first building, the Organization House, in 1918. And like people do today, guests and the Goodyear executives got the great idea to head here in the winter, escaping the cold Ohio weather where they were from. Over time more families joined the workers and on Thanksgiving Day in 1929 The Wigwam officially opened as a guest ranch with enough room for 24 guests. Shortly after in 1930, the first nine-hole golf course was built and in 1941 it was expanded to 18 holes. 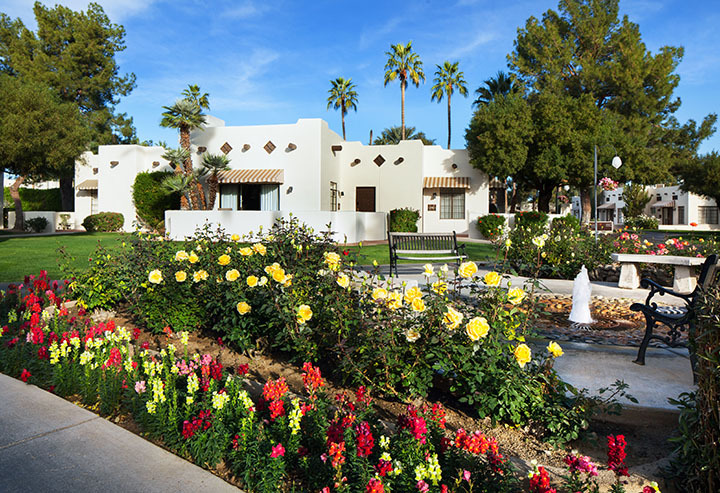 Today, The Wigwam features an additional 18 holes built in 1965 by Robert Trent Jones, Sr. (who also rebuilt the first 18), nine tennis courts, three swimming pools, a 25-foot dual water slide, a spa and fitness center, award-winning dining, 29 fireplaces and fire pits and 100,000 square feet of indoor and outdoor meeting space. A portion of the original Organization House still stands today and guests can discover its creaky wood floors, peruse old photos and documents and soak up all the Arizona history it contains. In celebration of its 100th year anniversary, the resort is letting guests in on the celebration as a thank you with a special package deal.